What’s the Difference between Ultrasounds and X-rays? Both ultrasound and X-ray technology tend to be readily or widely available, and relatively inexpensive compared to other modalities. So what is the difference between the two? Each imaging modality, whether it be X-ray, ultrasound or another, has their pros and cons. Let’s take a closer look. X-rays and ultrasounds share some similarities beyond being widely used imaging technologies. Ultrasounds and X-rays also may be ordered as complementary tests to diagnose a certain pathology. Uses ionizing radiation but “the amount of radiation used in most examinations is very small and the benefits greatly outweigh the risk of harm,” states Tahoe Carson Radiology Medical Imaging Specialists. The images formed from the X-ray’s electromagnetic energy passing through the body resemble “shadows” of the body’s internal structures. X-Ray imaging is one of the fastest and easiest ways for a physician to view the internal organs and the conditions of bones. Because X-Rays are inexpensive and useful they comprise a majority of all diagnostic procedures done on a worldwide annual basis. When is each test ordered? Ultrasound is the imaging modality of choice for assessing the health of a fetus developing inside the mother’s womb (i.e. the mid pregnancy ultrasound) Some other examples of common ultrasound sites include many of the internal organs, from the liver, pancreas, gallbladder to the heart, as well as blood vessels, muscles, ligaments, tendons and other soft tissues. Some common X-ray sites include bones, teeth and jaws, chest/lungs, digestive tract, ears, nose and throat and other structures. Generally speaking, ultrasounds are particularly effective for imaging soft tissues and structures, as well as motion; X-rays are particularly effective for imaging hard tissues or structures and air-filled parts , according to veterinarian Dr. Michael Watts in his column for the Culpeper Star-Exponent. X-rays and ultrasounds may both be used for the same section of the body, as complementary tests or one may be chosen over the other depending on the patient’s circumstances. For example, ultrasound may be more effective when imaging breasts with dense tissue. According to the Breast Center at University of Maryland Medical Center, “Ultrasound can often show abnormalities which might go undetected on mammography due to extremely dense breast tissue,” adding that ultrasound is usually employed along with a mammogram (an X-ray of the breast) and not as a replacement. Or, according to Dr. James Zaccaria (in a video released by the Foot and Ankle Center), both X-rays and ultrasounds are used to diagnose foot and ankle injuries and pathology. He mentioned that X-rays are effective for zeroing in on the bones and identifying fractures as well as joint ailments. 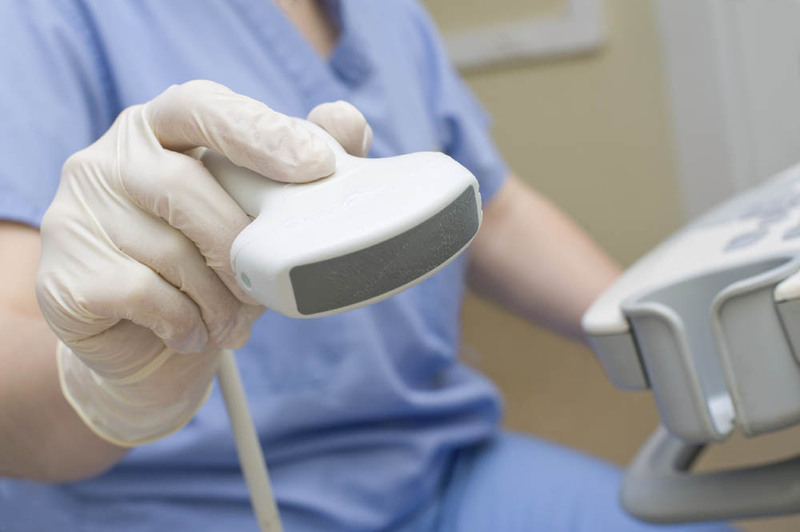 Ultrasounds can allow you “to identify the pathology at its root source,” stated Dr. Zaccaria, allowing you to evaluate ligaments, tendons and other soft tissues to identify injuries like, sprains, tears and stress fractures. Medical imaging technologies are consistently evolving. Research studies are also consistently seeking to identify the most effective and efficient means of diagnosing pathology. A case in point, is the work by researchers from the Icahn School of Medicine at Mount Sinai. They presented their study results in March 2015 at the annual AIUM meeting. They found that ultrasound, rather than X-ray, could be the initial imaging test (first test employed) to detect potential pneumonia among pediatric patients. The distinctions between imaging modalities are therefore not always black and white; each will continue to have their advantages and will dynamically fill various niches.